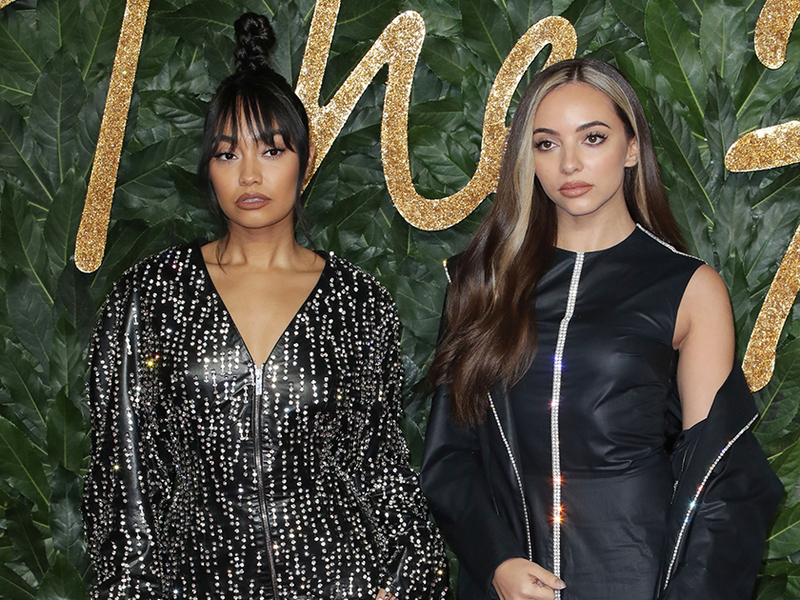 The Little Mix ladies have well and truly outdone themselves in the style stakes as Jade Thirlwall and Leigh-Anne Pinnock stepped out in matching outfits yesterday. 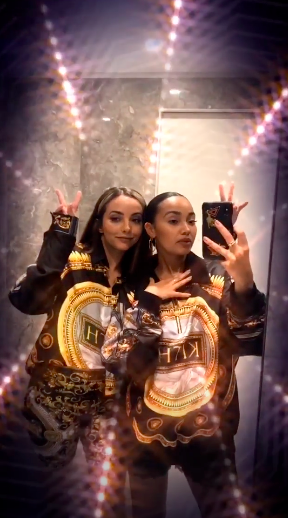 Yep, the pair gave us serious BFF goals when they attended the launch of the Kith x Versace limited edition collection at the Versace Sloane Street boutique in London. And making sure all eyes were on them, the popstars rocked slinky black and gold blouses from the collaboration’s line which feature gold geometric patterns and medallions. 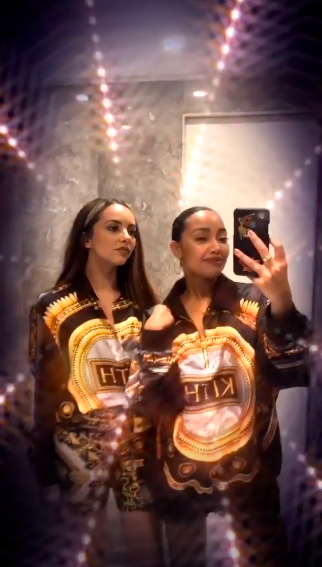 Sharing a sneak-peek from the star studded event, Leigh-Anne posted a video from the toilets as they tried to capture the perfect photo. Speaking to her followers, 27-year-old Leigh-Anne can be heard saying: ‘Hello everyone, currently hiding in the toilet trying to take a good selfie but it’s just not quite working. Meanwhile, the girls – along with bandmates Perrie Edwards, 25, and Jesy Nelson, 27 – will be taking to the BRIT Awards stage next week for an extra special performance. 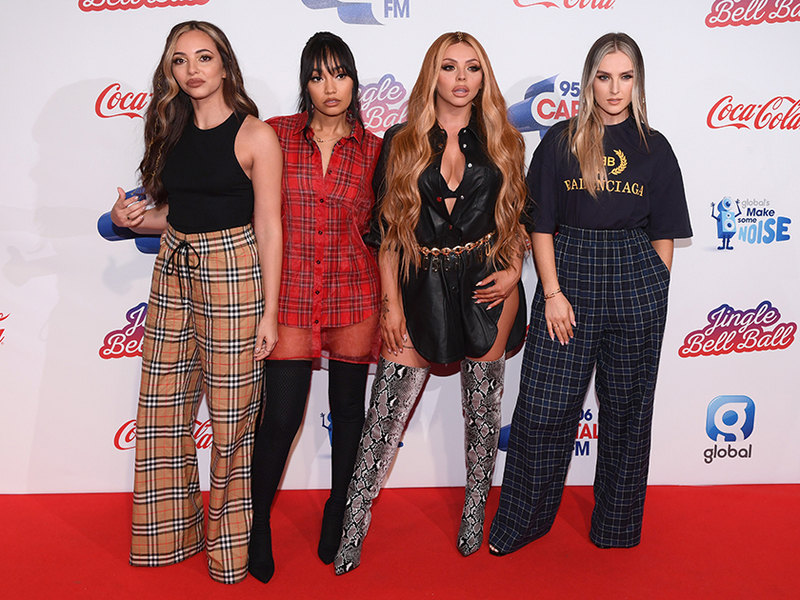 As well as singing a track from their new album LM5, they’re also nominated for TWO gongs for British Group and British Artist Video of the Year.